EAST RUTHERFORD, N.J. – The Monarch (www.TheMonarchNJ.com), the luxury rental community located directly across from MetLife Stadium in East Rutherford, NJ, recently surpassed the 75 percent leased mark just six months after its Grand Opening, developer BNE Real Estate Group announced today. To celebrate reaching the impressive milestone so quickly, interested renters are invited to a “Last Chance” Open House on Saturday, April 18th, from 1 to 4 p.m where guests can take advantage of one-day-only leasing specials and explore The Monarch’s few remaining new-construction apartments and vast array of indoor and outdoor amenities. The much-anticipated event will showcase why so many renters are choosing to call The Monarch home. Residents enjoy spacious apartments with condo-quality appointments at a price point that’s not easy to find in today’s luxury rental market. The community’s unique Meadowlands location is also a draw, blending proximity to highways and mass-transit to New York City with the peace and tranquility of the region’s grassy wetlands. Known for its array of all-inclusive lifestyle amenities and its ultra-convenient location just a few miles from Manhattan, The Monarch proudly delivers new construction one- and two- bedroom apartments to the Bergen County marketplace, with prices starting below $2,000/month. 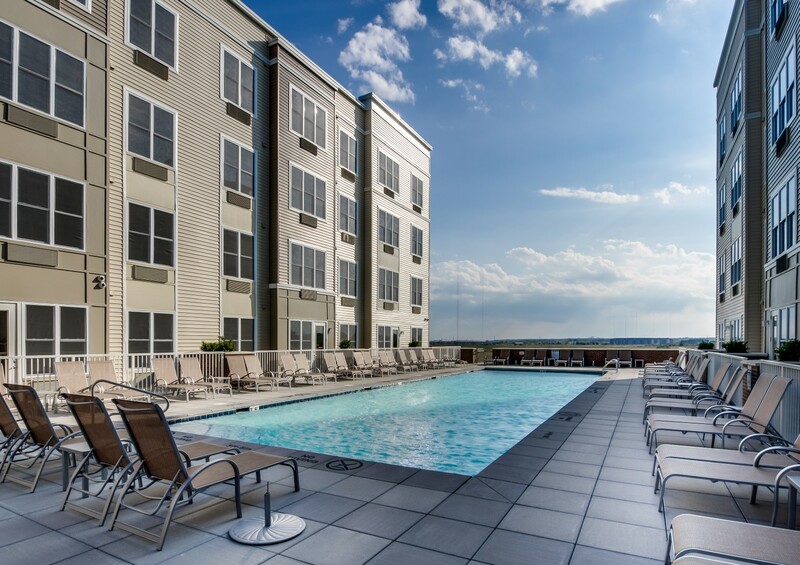 Residents of The Monarch enjoy a lifestyle rich in service and conveniences, which includes a 24-hour concierge, an on-site sundries store and complimentary shuttle service to the nearby Secaucus Junction train station, offering service to New York Penn Station in just under 20 minutes. The community’s location at 100-120 Schindler Court, just off of Route 3 in East Rutherford, is also incredibly convenient for motorists, as the New Jersey Turnpike, Garden State Parkway and The Lincoln Tunnel are all easily accessible and minutes from home. Residents who commute by train benefit from complimentary shuttle service to-and-from the nearby Secaucus Junction train station.